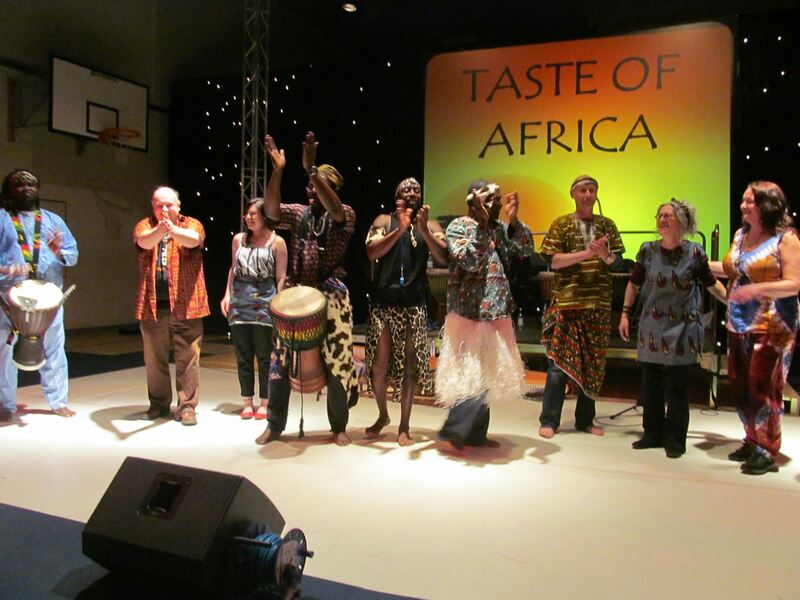 Taste of Africa … in Pontefract! 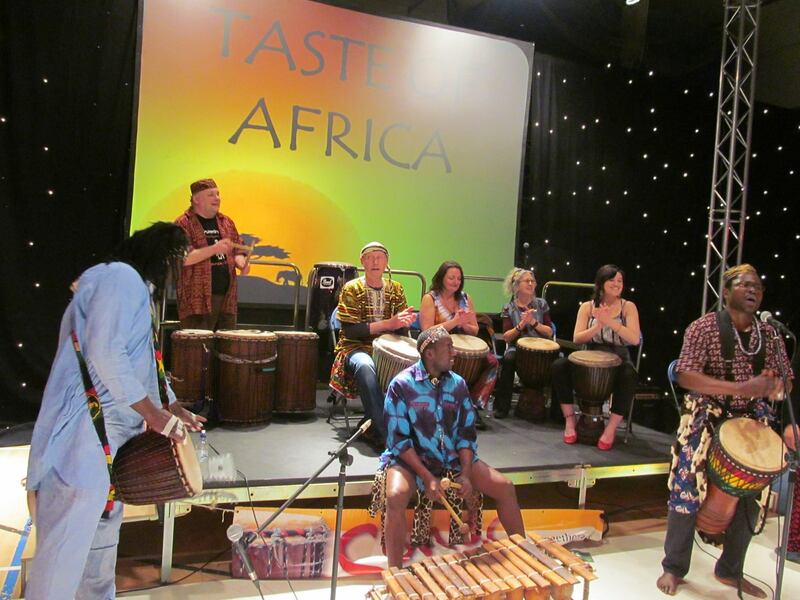 Multicultural and diverse entertainment with the likes of Songo Drumming Project, young gifted and talented Jessinah Mhloho from Leeds, and Tila and Tavelah from ‘The Voice’ came along for a great night and help raise money for the ‘stop the cycle project’. 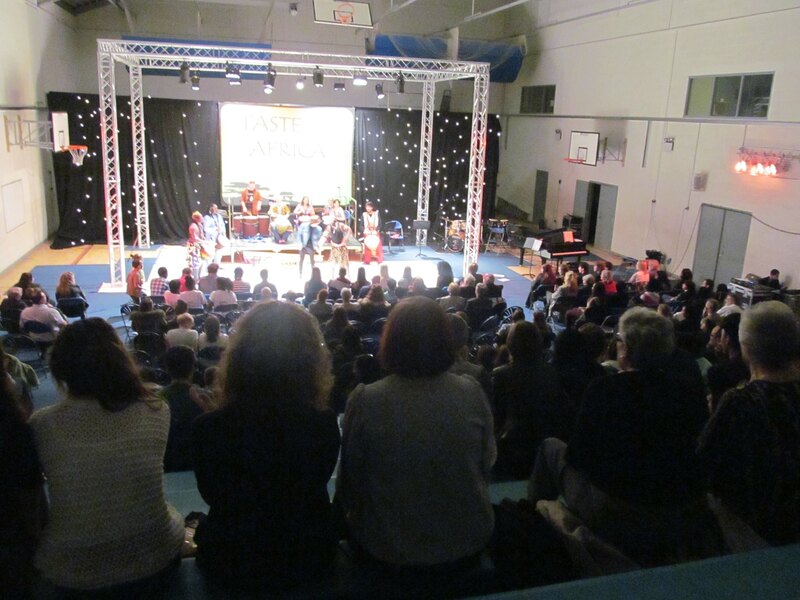 It was a great event with lots of audience enthusiasm and participation: singing, clapping and dancing with George and Nassoro. Everybody was well up for it and special thanks need to go to the organiser Orrienne Edward and all her support team at St Wilfred’s Sixth Form College, Pontefract. What a great venue! 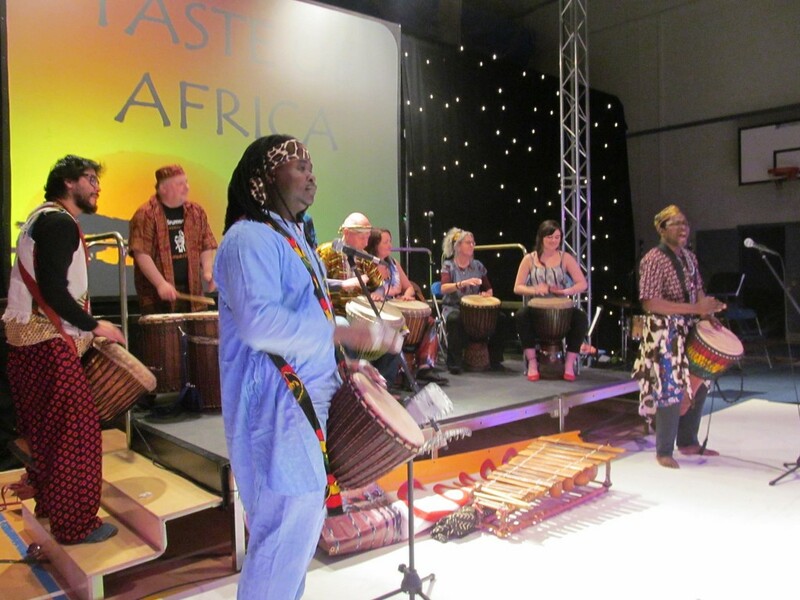 It was a high energy performance featuring a full range of different instruments including the balafon played by Diego and Nassaro and even the congas came out to play to help the dancing vibes along. Singing was led by Raph who was as usual in full voice but this time assisted with a microphone not too far away — it makes such a positive difference not having to shout! 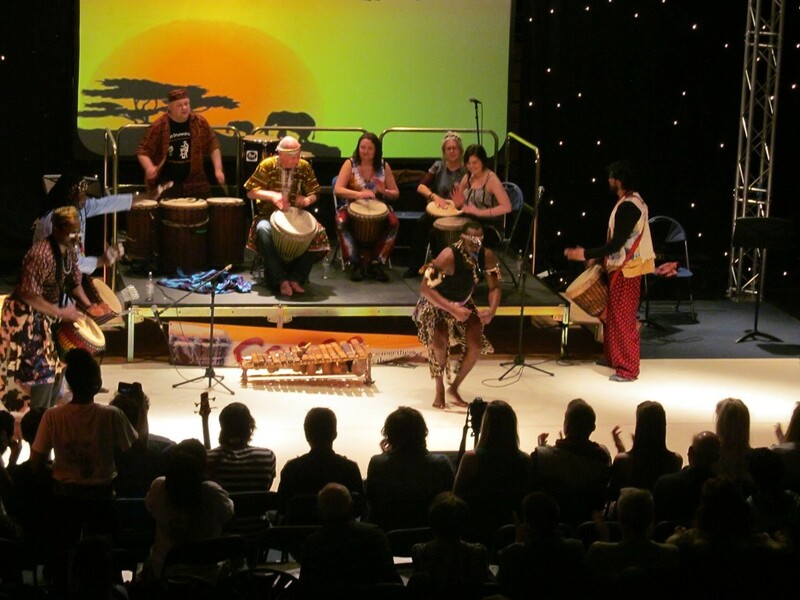 The soloist djembe players Udo and Diego were supported by the djembe accompaniment team of David, Lynne, Susie and Briony. Demetri was in the ‘engine room’ playing the ballet style dunduns!